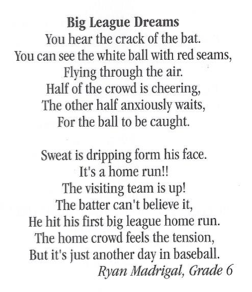 We are so proud to announce that some of our Kiddy Tyme Kids have grown up to become some cool poets! Watch out Shakespeare! 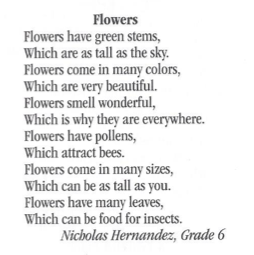 Our Alumni, Aven Serpa, Ryan Madrigal, and Nicholas Hernandez were recently published in “A Celebration of Poets”; a nationwide competition for all grades K thru 6th just this past year! 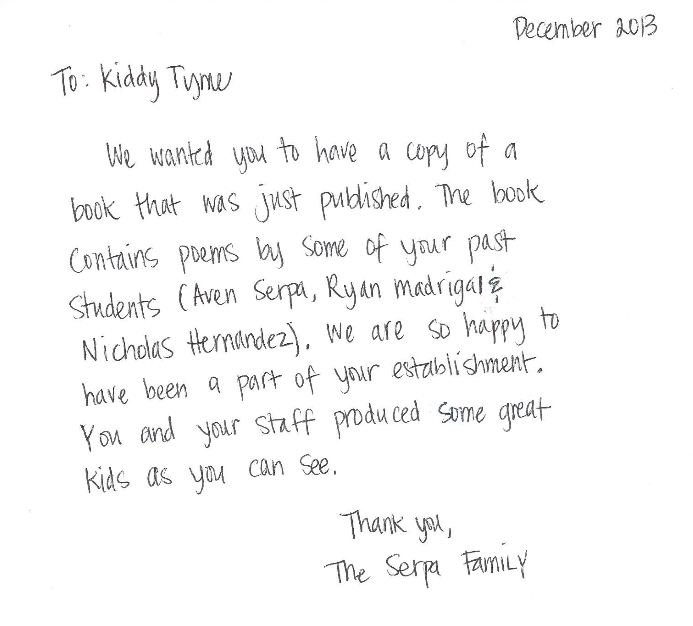 Thank you so much to the Serpa Family for sharing this with us. We are so proud of our Kiddy Tyme Kids! 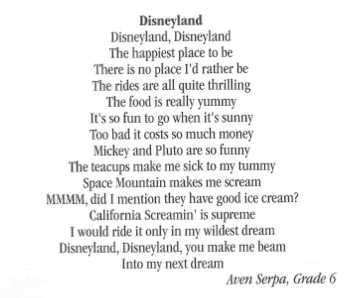 This entry was posted in Special Events, Student News and tagged Alumni, Alumni News, Kiddy Tyme Kids, poetry. Bookmark the permalink.